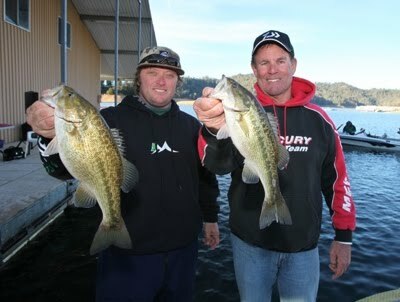 2 tourneys back to back; WON Bass & FLW at Lake Shasta, CA...and it RAINED A LOT!!!! When reaching Shasta, water was higher than normal and rising. The weather was cold like normal there, with the intermittent rain showers and snow with the days high of 38 degrees. Fishing was slower than normal. The main body was really tough. You had to go up the rivers to find any concentration of fish. Most the time the fish were deep in the 40-60' range. To use a drop shot, darthead, or senkos, you would need to use a very slow retrieve. The fish were very inactive. Then we had a weather change to bright sunny skies with a high in the 50's. I assumed that this would bring the fish shallower and more active, especially in the afternoons, but the fish did not change. They remained deep, however they did come up just a little bit in the afternoons. In the WON Bass tournament I managed to place 3rd, with a weight of 19.65. 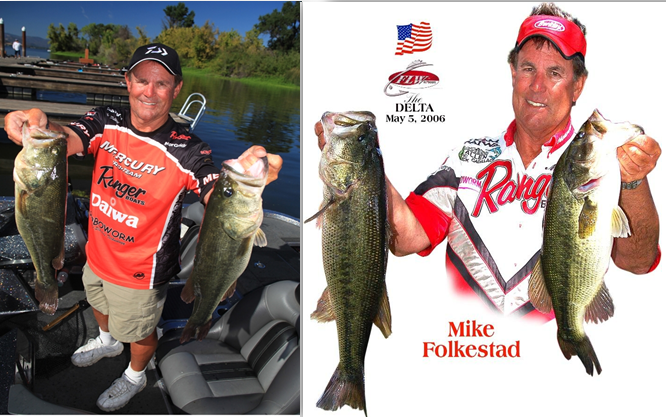 Day 1 my partner was Rick Kendrick, and Day 2 I fished with Aaron Leon. They were both great fishermen, we all caught our share of fish, and Leon caught one of the "big fish" weighing 2.55. They both place high, good job Rick and Aaron! In the FLW tournament I placed 38th. The last day was a struggle, with only a limit of 5 lbs 10 oz. BTW: We found a great place to stay in Redding....The Oxford Suites. If you ever get up there, give Sandra Sims a call. She's the Sales Manager and a great host. They are totally fisherman friendly. They have a great breakfast and evening appetizers that are included with your room. After battling the weather each day it's nice to come back to warm cooked food at the hotel.